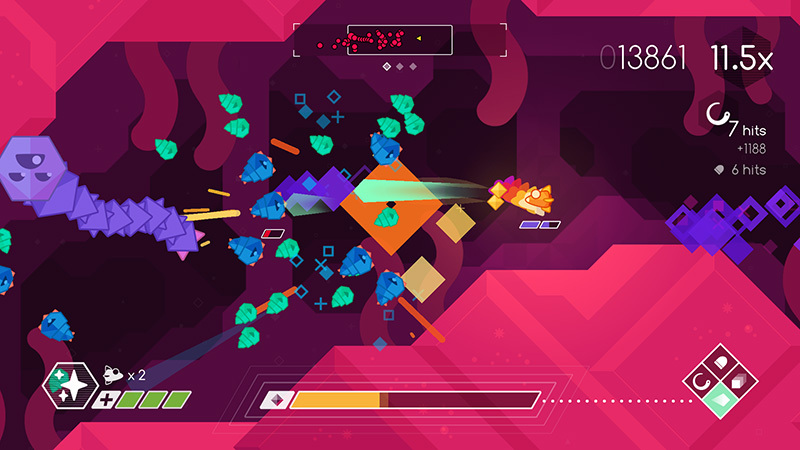 When I first saw the screenshots and video of Graceful Explosion Machine, I was smitten, and was really excited to play it when it came out — I do love me shmups, and the art direction looked fantastic. Then the game came out a couple of weeks ago, and since I was still juggling a bunch of big games (Breath of the Wild, Persona 5, Nier: Automata) I figured I’d wait a bit. But I couldn’t wait anymore, and so I grabbed it the other day, and oh my this game is fun. As expected, it looks beautiful, and the action is very satisfying. And although it can get a bit tough, it’s the kind of game that you just can’t seem to quit, trying again and again until you manage to finish off a level. Definitely something to add to your Switch game collection.